This study describes a distance learning professional development program that we designed for the purpose of training science teachers to teach for creativity. The Moodle platform was used to host the training. To ensure that trainees would benefit from this distance learning program, we designed the instructional activities according to the Community of Inquiry framework, which consists of three main elements: cognitive presence, teaching presence and social presence. Nineteen science teachers in Oman engaged in the training, which lasted for 36 working days. To measure the effectiveness of the training program on science teachers’ instructional practices related to teaching for creativity, we used a pre–post one-group quasi-experimental design. An observation form was used to assess and document participants’ practices. 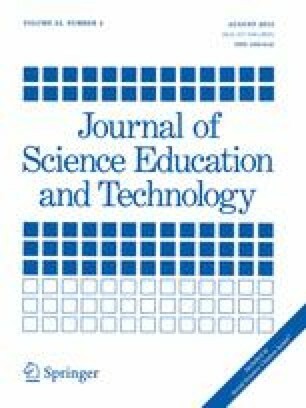 Paired t test results showed that there was a statistically significant improvement in science teachers’ practices related to teaching for creativity. During the implementation of the training program, we observed that cognitive presence and teaching presence were the two most successful elements of the program. The training program involved participants in different instructional activities which were designed to help them understand the role of creativity in science; a wide range of instructional techniques designed to nurture students’ creativity was discussed. The program also provided participants with opportunities to relate their practices to teaching for creativity and to design and implement lesson plans geared toward teaching for creativity. However, the social presence element was not satisfying. Participants’ virtual interactions with each other and their engagement in online discussion forums were limited. This paper provides some recommendations to overcome such pitfalls. Table 2: Module: Classroom activities that support creativity (Restructuring content using role play). Table 3: activity title: plan. Four students stand in front of the class and form a circle by holding their hands. Two other students stand at the middle of the circle. One of them has a card on her chest entitled “matter”, while the other student has a card entitled “energy.” First, the students role play the open system. The two students in the middle (i.e., “energy” and “matter”) move in and out the circle. The teacher asks the rest of the class to figure out what type of system this is and to give examples of such a system. Second, the students role play the closed system. The “energy” student moves in and out the circle, while the “matter” student stays still. The teacher asks the rest of the class to figure out what type of system this is and to give examples of such a system. Third, the students role play the isolated system. Both “energy” and “matter” students stay still at the middle of the circle. The teacher asks the rest of the class to figure out what type of system this is and to give examples of such a system. Table 2: module: whole-lesson methods that foster creativity (methods: brainstorming and inquiry-based learning). Table 3: activity title: reflect. Today I used two different methods that enhance students’ creativity: brainstorming and inquiry-based learning. I brought different types of flour to the classroom: all purpose flour, white flour, rice flour and corn flour. I asked the class to discuss in their groups the factors that affect the solubility of flour in water. I used the ball technique for my brainstorming activity. Each group leader asked her group to think of factors that affect the solubility of flour in water. Then she threw a soft ball to a member of the group, who responded by stating one factor that might that affect the solubility of flour. That member then returned the ball to the leader, who directed it to another member and so on. The secretary of the group wrote down all the ideas produced by the group. Then all the secretaries from all six groups went to the whiteboard and wrote their ideas down. Students were highly enthusiastic during this activity and produced a variety of good ideas about the factors that may affect the solubility of flour in water, such as types of flour, methods of stirring and temperature. I then asked them to test these factors using an inquiry-based approach. Each group designed an inquiry table, which included a variation of each factor they were testing. They first wrote their predictions of the relationship between each factor and the solubility of flour in water. Then they tested that factor. I felt that this activity made students active and excited. Some of the students who did usually not have high classroom participation were fully engaged in both the brainstorming and inquiry-based approaches. My students today produced some unexpected ideas as factors for solubility such as the flour color and methods of mixing: by spoon or hand! Table 2: module: questioning techniques that foster creativity. Table 3: activity title: analyze. Although the teacher was using the discussion method, he was sometimes delivering the content directly without interacting with the students. Also, his questions were not well planned. They did not lead the students to a clear understanding of the nature of bacteria. I also noticed that he was not giving students an opportunity to expand their answers by asking them further probing questions. He also repeatedly used “yes” and “no” questions which did not give students a chance to provide creative responses. Table 2: module: classroom activities that support creativity (restructuring content using cartoons). Table 3: activity title: share.